City of London EC Industrial & Residential Window Cleaning | Quality Property Care Ltd. 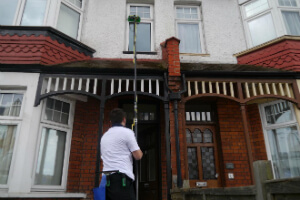 Enjoy a lot more than simply qualified window cleansing, give Quality Property Care Ltd. a call and reserve the very best window cleaning in City of London EC at a reasonable rate. Fully equipped and capable, we will leave no spots behind, eliminating not only oil, but built up mud, grime, dirt, fine powder, mud, rain residue, fingerprints and a lot more. 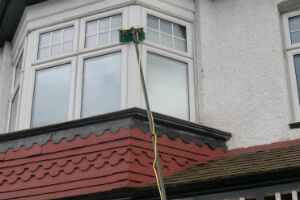 There is no better way to wash windows in London than to contact Quality Property Care Ltd. in City of London EC, we arrive fully prepared, able of reaching up to 4 stories in height. There are some service requirements that need to be completed in order for us to effectively clean. The window must be in a fine condition, maintenance must have been passed before we can clean. A parking space near the area of the cleaning, no further than 30 yards ultimately and a clean reach of the window without any items in the way, like walls or branches. The firm Quality Property Care Ltd. can provide you with you higher floor window cleaning through the specialised rope access windows cleaning groups. They will clean all windows over the 4th floor.Also, the company offers indoor window washing as a distinct service, or as part of regular or commercial cleaning and one off residential cleaning.The cleaners will wash the windows in all kind of commercial properties and all kind of domestic properties with the help of squeegees, microfiber cloths, professional and safe glass cleaning solution, and with the help of ladders whenever necessary. You can combine the indoor and outdoor window cleaning with the professional curtain cleaning delivered by the firm as well, for an even more amazing effect. To clean your window on the outside we use a special water fed pole system which is positioned in our van (hence the need to the close up proximity). The method takes typical tap water and removes the nonessential minerals from it leaving it a pure H2O molecule. Mineral free the water is a lot lighter, with a larger mineral absorption property than before. The cleaner is in the van, with the telescopic water fed pole cleaning windows from a distance. We do not use any sponges or detergents, just basic filtered water which does not demand any rinsing. For inside window cleaning we use a standard setup of suitable detergent and squeegee, including the drying and rinsing of the inside of the window. Thanks to the water fed cleaning method we are able of dealing with a wide range of window types - skylights, sash windows, sun roofs, big and small double windows, big and small bay windows, garden windows, French door panels and quite a lot more. To book us give 020 3746 4287 a call where a staff of professionals is ready to help you anyway they could. Call us free of charge at the given number to receive solutions to questions and reserve the best cleaning support in London.